Can you see them? Neither could I until we got to the corner. 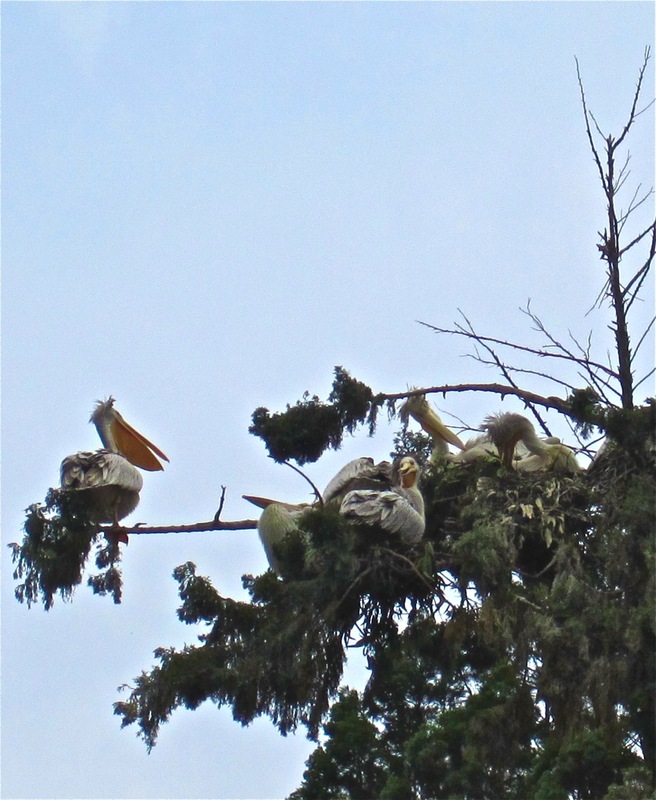 In the neighborhood of Kiyovu — the central business district of Kigali — a group of great white pelicans (Pelecanus onocrotalus) live in this tall tree opposite the Belgian School. 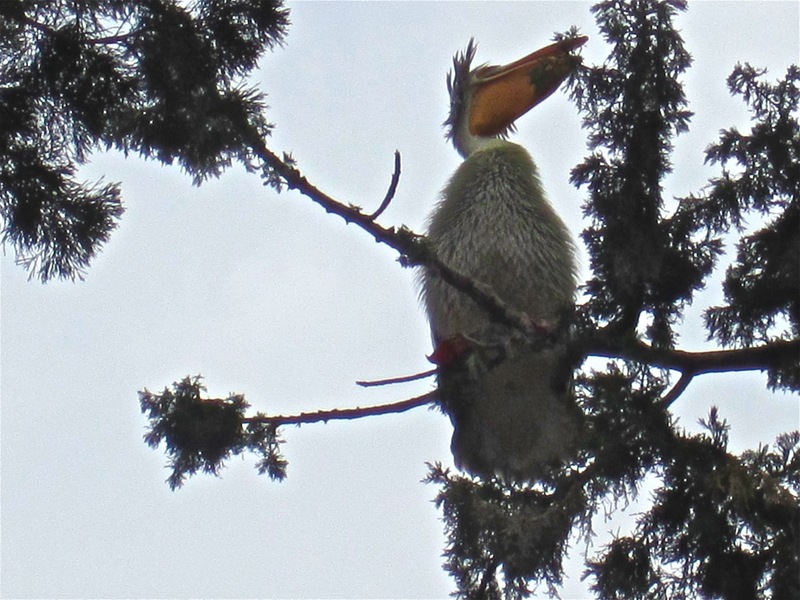 The other pelican native to Rwanda is the pink-backed pelican (Pelecanus rufescens). 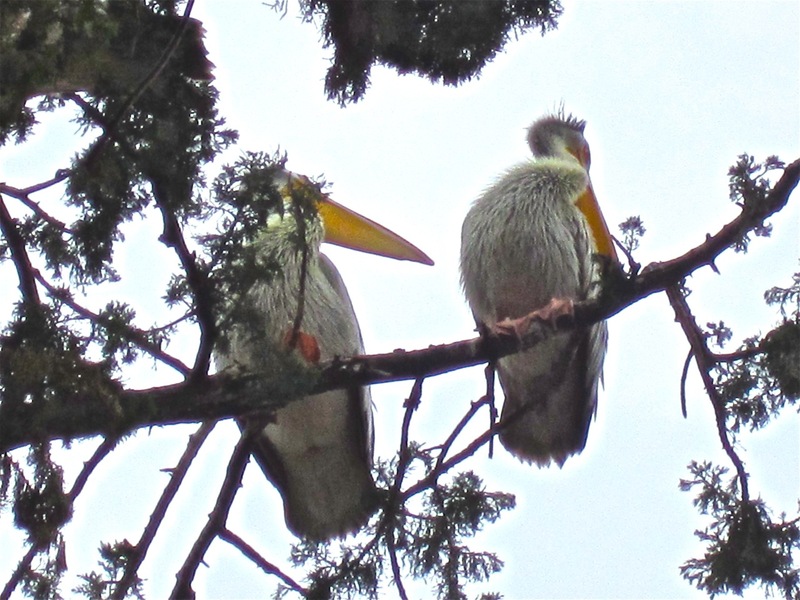 My photos are not great — the tree is really tall — but this link has a very nice picture of pelicans in another Kigali tree. Previous Post Still a strange pageant . . . This is so interesting. I didn’t know that pelicans could live like that. I also had no idea that they were so huge. You should submit this post to the FS blog round up. They surprised me too, but amazingly, the Dalmatian Pelican from southeastern Europe, India, and China is even larger. 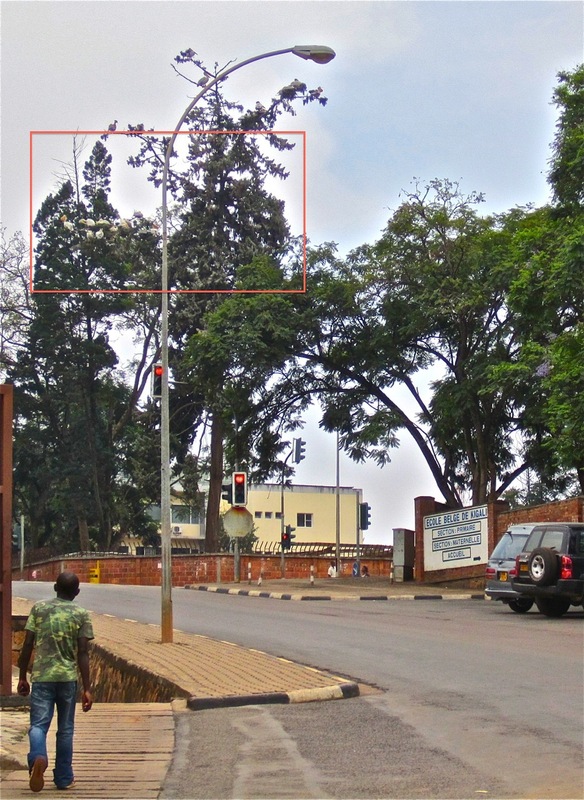 Kigali has almost no trash – that impresses me. We still have our national flower – escaped plastic bags. We’ve called them the national bird in a lot of countries — nesting in the fields. No joke — back in Niger, it was tragic. They are everywhere, and they get into the soil and make it unworkable and into the stomachs of grazing cows. Rwanda deserves great credit for its no plastic bag policy. Hi ! Nice pictures ! The branches of the tree are now cutted… Parents of the students didn’t like the smell. They were eating fishes from the river down the hill, Kimisagara. Hope read more from your blog !